We analyse data, identify behaviour patterns and generate forecasts to help companies make decisions. Nowadays electrical grids are trying to meet expectations ranging from traditional generation to renewable resources, transport and distribution, but energy management might be still improved for all agents of the electric system. 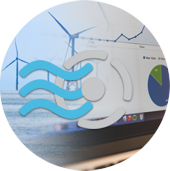 With the purpose of providing a safe, economic and sustainable electric supply, smart grids integrate information technologies with current infrastructure so they obtain a vast volume of data on the behaviour of all actors connected: who generates electricity, which TSO transports it and who the main consumers are. IIC has a long history developing and deploying advanced algorithms such as statistic models, neural networks, Support Vector Machines (SVM), clustering tools and some other machine learning techniques, as well as applying simulation techniques. Utilising this knowledge in Big Data, we collaborate with Energy companies treating and analysing the high amount of data they generate and store every day. Analysing all these data, identifying behaviour patterns and generating forecasts on their basis are vital, as efficiency of services might be improved and it helps companies to make decisions, besides reducing costs. 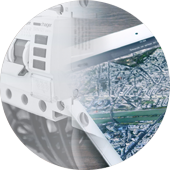 This is the focus of our services and our solutions —EA2, Kernel EA2 and ArgestesPlanner— in the Energy sector. We generate forecasts on the basis of weather forecast data and renewable energy production data (wind, solar PV and thermosolar energy). They may be applied both in a single park and in wider areas. Service may be provided all over the world. Our systems to predict energy production make it possible for companies producing or managing renewable energy to make market operators accurate offers of generation and plan regular maintenance. Both EA2, our system designed to forecast wind power production, and Kernel EA2, for solar energy, are effective applications for Transmission System Operators (TSO), since they help them make more precise generations, ensuring that demand is met and guaranteeing the system’s stability. The service consists in taking advantage of data collected in real time by several different sensors with the aim of alerting about incidences or determining unusual behaviour patterns. Our first experiences were accomplished in the wind energy sector, for instance, determining changes in power curves from wind turbines, identifying problems in adjustable-speed drives (ASD) or changes in variables patterns (temperature, vibrations...), etc. 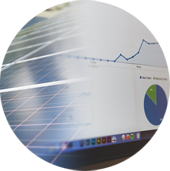 We offer a service that performs energy demand hourly forecasts, mainly directed towards energy suppliers. On the basis of electricity consumption data gathered at Universal Supply Point Code level, our predictive models issue an hourly demand forecast —of up to 10 days— at this level or according to another value (subsystem, fee, etc.). 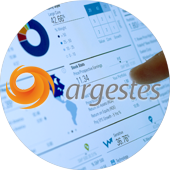 Our visualization system Argestes Planner allows representing forecasts for different agents graphically and evaluating them in respect of actual data updated in real time. These forecasts might be generated for any kind of energy, although so far they have been primarily used for renewable energy. In addition, we offer a service, consisting on a combination of forecasts, which generates high quality prediction using data from different agents. Using structural information and historical consumption data from clients, the fraud detection system can detect fraud patterns in consumption data. Energy suppliers are provided with a ranking containing scores for particular clients, so they may decide whether installations must be visually checked, according to their own capacities. 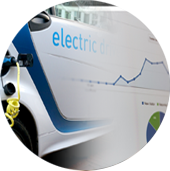 Incorporating electrical vehicles to the system represents a major challenge, therefore if we want to deal with it efficiently, it would be very useful to count, on one side, on simulation scenarios on the long term; and, on the other side, on a way to forecast the charge a whole park of electrical vehicles might involve, on the short term. One example of this technology offered by IIC is the Simulator of Electrical Vehicle Recharge developed for REE, the sole Transmission System Operator (TSO) in Spain. Electrical system management must guarantee that demand is covered, and ensure the safety of the whole system. In this sense, Demand Management Tools are very useful as they allow, for instance, operating on the users’ consumption, or making suggestions to them so that both the system and the user are benefited. At IIC we are experts on the development of applications for TSOs able to communicate this kind of actions to the operators responsible of their accomplishment. We collaborate with UAM-IIC Data Science & Machine Learning Chair to promote research in basic machine learning and computational intelligence issues and in their application to specific issues from our clients, emphasizing models of electric demand forecast, renewable energy generation and preventive detection of critical events in large systems. IIC also takes part in many Energy sector platforms. We are members of FutuRed (Spanish Electrical Grid Platform) and MadridNetwork, and take part in ReolTec (Spanish Wind Energy Technology Platform) and the conferences held by CIGRE (Council on Large Electric Systems) and EWEA (European Wind Energy Association).